"The law requires anyone who has cause to suspect that a child is (or is at risk of being) harmed in certain ways to report that child's situation to the county department of social services." Q. Who do I call if I suspect child abuse or neglect? A. 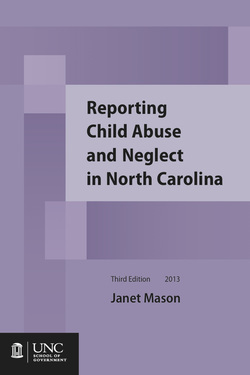 If the possible abuse or neglect took place in Wilkes County, call the Wilkes County Department of Social Services at 336-651-7490. Q. What if a child is in immediate danger? Q. What if I don't have proof? A. Call anyway. North Carolina law requires you to report anytime you have "cause to suspect" abuse or neglect has occurred. Q. Who is required to report child abuse and neglect? A. All adults and institutions in North Carolina are required to report, not just professionals like doctors and teachers. Q. Do I have to give my name when I call? A. You will be asked to give your name, but your report will still be taken even if you don't give your name. The names of reporters are kept confidential. Q. What will they ask me when I report? Q. What happens after I make my report? A. After your report, DSS will decide whether or not an investigation will be done, based on state requirements. If intervention is warranted, DSS will investigate within 24 hours in cases of abuse and 72 hours in cases of neglect. The investigation may include a visit to the child’s home and school as well as interviews with others who are in regular contact with the child. Q. Will I find out what happened with my report? A. DSS will let you know in writing within five days if your report has been accepted for investigation. You will also be told if your report has been referred to law enforcement. If your report is accepted, you will receive another written notification from DSS at the conclusion of their investigation. Q. Can I get in trouble if the abuse is not proved? A. No, so long as you made the report in good faith. Q. Can I get in trouble if I don't report? A. There is no criminal penalty in North Carolina for not reporting, but a child may suffer needlessly if you don't do your duty. There may be professional repercussions if you learned about the abuse as part of your work. Remain calm, listen carefully and be reassuring. Let the child know, "It's not your fault." A child who wants to talk about abuse is counting on you to do the right thing. The things they tell you may stir up many emotions in you, but it's important that you remain calm and in control. Assure privacy as best you can. Listen carefully to what the child is saying. Let the child do the talking. Tell the child the abuse is not his or her fault. Interrogate the child. Your job is to listen to what the child wants to tell you, not to investigate. Ask leading, "Yes or No" or "Why" questions. Ask the child to repeat what they've said to you or anyone else. Make the call and let the investigators do their work. A service of SAFE, Inc.